Each one brought together ideas that have now become what we know as a Microsoft Account and that account is, pun intended, a passport to everything Microsoft related. On top of those services your Microsoft Account also gives you a centralized location to view billing data for all of the premium services you subscribe to and purchases you make under the Microsoft umbrella. With the introduction of Windows 8 last year the Microsoft account takes on an entirely new and unique role if you have made that move to Windows 8. 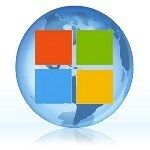 Windows Observer microsoft account. permalink.